Alameda, California, located on the beautiful Alameda Island west of Oakland, California has a very humid climate. Typically the city has torrential amounts of rainfall each year that have begun to cause the Alameda Bay to rise significantly over the last ten years, and it is expected to continue rising throughout the next century which will result in massive flooding of the area even more severe than what has already been seen in the last decade. Combining the rising waters annually with the typical daily temperatures throughout the year makes Alameda a center for mold growth for property owners to face. Learn more about our mold services! 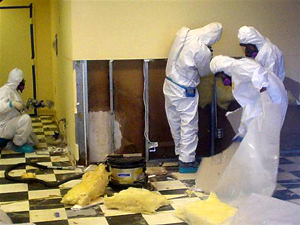 Our mold removal and mold remediation services are warranted for 10 years, guaranteeing that the work was completed following industry protocols. Indoor-Restore Environmental Services has been working with mold removal and remediation in Alameda and all of California for over 20 years. Our professional technicians perform thorough inspections to check for water damage, excess moisture and suspected mold growth to ensure safety for your property and those who will be on it. We work hard to make sure that any material that has been found to be contaminated by mold is removed safely for you as well as the environment. When mold removal is not performed by a professional with the experience and knowledge on handling mold, it can spread and cause damage to property structure and become dangerous to the health of people who have asthma or weakened immune systems such as the elderly or infants who have not yet fully developed their immune systems. With the high chance of excess moisture remaining in properties in Alameda due to the significant rainfall, mold growth can cause flooring, walls and the structure of a property to weaken over time. 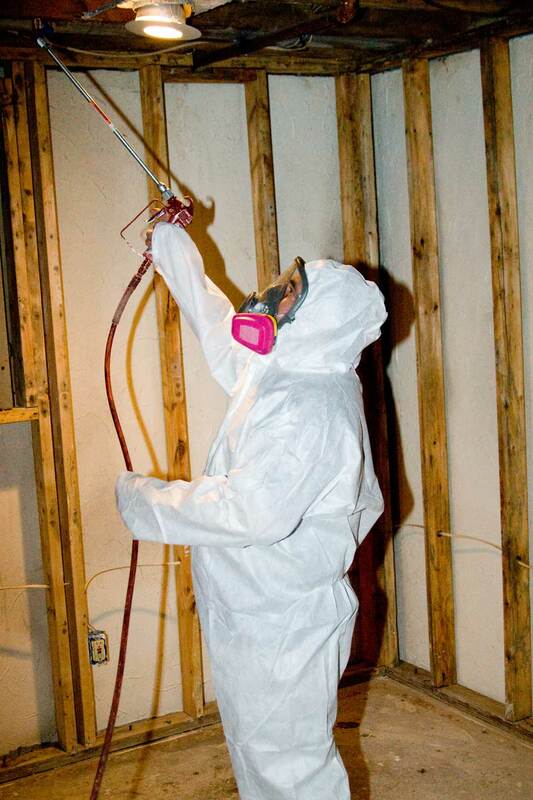 Mold removal by professional remediation experts can eliminate the risk of your property being destroyed by mold growth. From the moment that you initially inspect mold, professionally certified specialists need to be called in. Alameda’s mold removal specialists with Indoor-Restore Environmental Services use a 5-step protocol to effectively eliminate mold. Beginning with a HEPA filtration system that will secure and remove any mold spores that may be found in the air and then proceeding to entrap any spores that are found throughout the property to ensure that they are unable to spread throughout the property. Any material that has been found to be infected with mold will be removed from the property to ensure safety for surrounding areas of the structure. Once this is complete, a biocide will be utilized for removing mold throughout mold prone areas that have shown signs of growth. The use of the biocide helps to make sure that no new mold can grow. Our company has been in business for over 20 years, serving the residents of Alameda with our environmental inspection, testing, removal and remediation services! Contact us to receive your mold removal estimate. Anti-fungal containment will be used after the use of the biocide and then a complete mold removal decontaminate will be performed to make sure that there is no mold left on the property. After this is complete, the specialist will then make sure that all areas including wallboards and studs are sealed with an anti-fungal encasement. Once everything is properly sealed, decontaminate will be used once more throughout the property to ensure that mold removal and remediation is complete. Receive a mold removal estimate & schedule your project today! After this protocol is complete a final mold remediation inspection is performed and all surface samples suspected to be mold growth are sent to a third party laboratory for outside testing. When the lab completes the analysis and clears the samples, Indoor-Restore will provide a Certificate of Clearance to the property owner and a 10 year warranty to guarantee that mold removal is complete and that the mold has been effectively removed.